Mia G. McGee, also known as, Dr. MGM, can be found using her own success as CEO of AHP Consulting & Business Solutions and President of W.A.V.E. International Outreach Missions, to encourage others to follow their dreams. Mia is well-versed in the areas of business management, human resources, business ethics, as well as, subjects in the areas of leadership and entrepreneurship with non-profit and for profit sectors. Mia helps her clients as serving as a mentor and catalyst to instill effective strategies to help them realize their full leadership potential through fervent coaching. 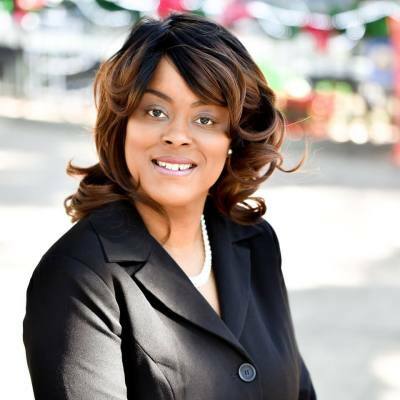 She also serves as a Vocational Counselor, Adjunct Professor for various Institutions of Higher Learning and has experience as a Corporate Recruiter in the business, educational, and medical sector. In her role as a daily motivator, she is a believer and testimony that “Words Have Power”, and often states, “What is spoken can determine the direction that your path may take, so use them wisely.” As an Entrepreneur, she uses her knowledge, gifts and abilities to help other realize and activate their purpose.